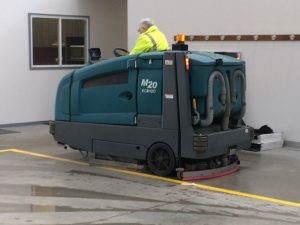 Nationwide Commercial Cleaning provides environmentally friendly parking lot, commercial and industrial sweeping services. 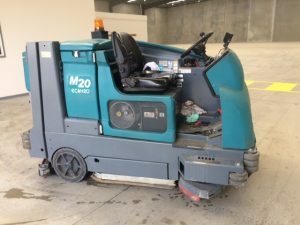 Our commercial and Industrial sweeping services have been available to Melbourne for over a decade. Nationwide Commercial Cleaning is one of the best sweeping and scrubbing companies in Melbourne and Surrounding Areas. We operate 24hrs, 7 days a week to provide our customers with flexible scheduling options that meet their specific requirements. Nationwide Commercial Cleaning’s experienced and dedicated staff is committed to providing top quality, dependable service at an equitable rate. We have retained relationships with a very large number of our customers for numerous years. Nationwide Cleaning is currently under contract to over 200 commercial, industrial, retail, multiple residential and retail properties. Nationwide Commercial Cleaning is fully insured and carries $20 million of public liability insurance. Worker’s Compensation and Employees’ Liability Insurance cover all of our employees. Please contact us for floor sweeping, scrubbing and pressure washing in Melbourne. We are happy to help and ready to go right now so get in touch with the best floor sweepers in Melbourne now.